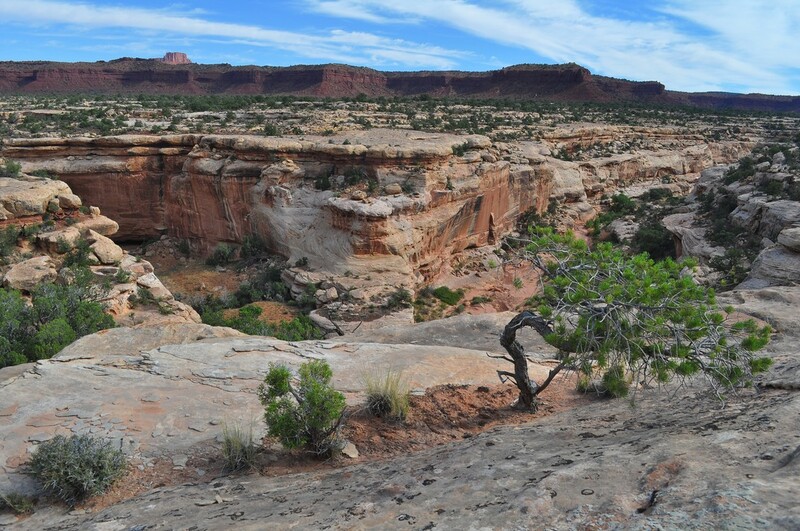 President Trump’s Interior Department recently released draft management plans revealing their vision for how to manage what’s left of Bears Ears and Grand Staircase-Escalante National Monuments, as well as the lands that were illegally excised from those monuments. Their vision? Rampant oil and gas leasing, coal mining, and barely-restrained off-road vehicle use. It was only last December that the president unlawfully attacked both of these monuments. Now his administration has hastily put together plans that not only fail to protect the monuments’ irreplaceable values, they invite their destruction. The public comment period for these plans is now open—please tell the BLM to protect ALL of the special values and resources within the original boundaries of both monuments! SUWA Has a Brand New Podcast! SUWA’s campaign to Protect Wild Utah encompasses policy analysis, legal strategy, grassroots activism, and ground-truthing by field staff. Our new podcast, Wild Utah, shines a light on these efforts and gives the land a voice. In order to preserve the unique natural quiet of southern Utah, we’re gonna have to make some noise! 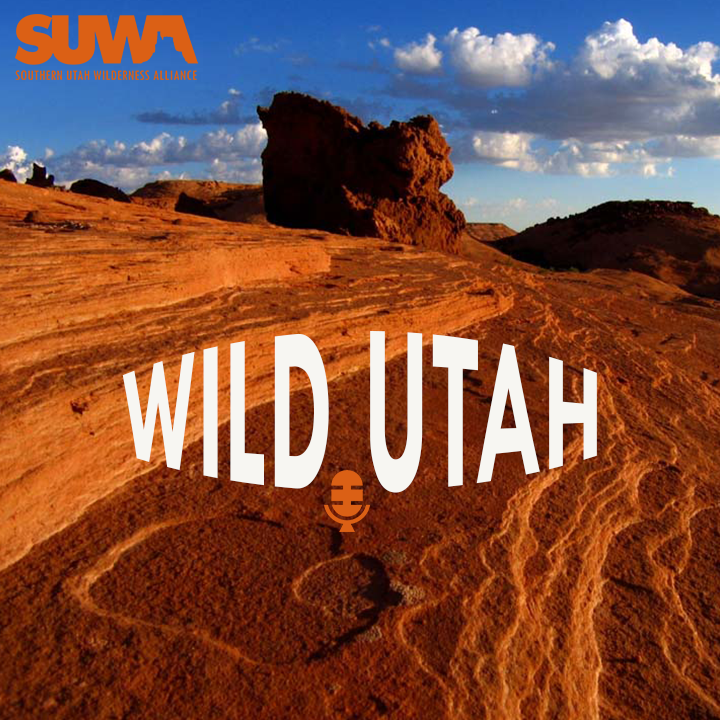 In our first episode, Dave Pacheco interviews SUWA Wildlands Director Neal Clark about the Emery County Public Land Management Act of 2018, introduced by Utah Senator Orrin Hatch and Representative John Curtis. Click here to listen and subscribe! 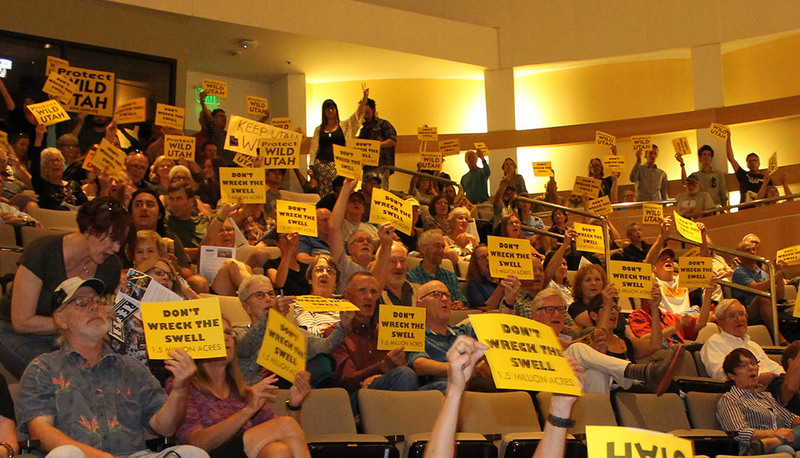 More than 300 passionate wilderness advocates poured into the Salt Lake City Main Library for the People’s Hearing on the San Rafael Swell last Wednesday, August 29th. Speaker after speaker described how the Emery County Public Land Management Act fails to do justice to the globally significant wild lands in the San Rafael Swell and nearby Labyrinth and Desolation Canyons. The Act could determine the future of 1.5 million acres of scenically spectacular wildlands that are also laden with cultural artifacts, including extraordinary rock art. Frustrated by the failure of Senator Orrin Hatch and Representative John Curtis to provide a meaningful opportunity for people outside Emery County to help shape a public lands bill for the region, the Utah Wilderness Coalition and fifteen other organizations hosted the “People’s Hearing” so those outside the county could express their views. Senator Hatch and Representative Curtis were invited but declined to attend. Among those calling for greater protection for the San Rafael Swell region were Salt Lake City Mayor Jackie Biskupski, Ute tribal member Shaun Chapoose, Holiday River Expeditions guide Lauren Wood, and Colorado Plateau Archaeological Alliance Executive Director Jerry Spangler. Good News! The Bureau of Land Management (BLM) has finally backed down and agreed to prepare new site-specific analyses for any additional vegetation removal projects in the greater Hamlin Valley area of Utah’s West Desert. 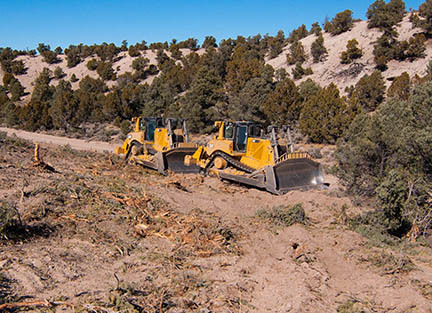 SUWA had filed a lawsuit to stop the agency from destroying pinyon-juniper woodlands through “chaining” and “bull-hog” projects without analyzing and disclosing the direct and indirect effects as required under the National Environmental Policy Act. With the BLM’s stated commitment, made expressly to the court, we have agreed to dismiss our lawsuit. However, we’ll continue to hold the agency accountable while pushing them to make better informed, more transparent decisions. America’s Red Rock Wilderness Act Gets Five New Cosponsors! Cosponsors of America’s Red Rock Wilderness Act (ARRWA) continue to roll in. The commitment of these members of Congress is crucial to the successes achieved in protecting and defending Utah’s wild lands. There are 120 cosponsors of the bill in the House where H.R. 2044 is sponsored by Rep. Alan Lowenthal (CA-47) and 24 in the Senate where S. 948 is sponsored by Sen. Richard Durbin (IL). It’s the support of redrock volunteers in Utah and across the country that makes this possible. If your member of Congress is on this list, please thank them for cosponsoring ARRWA! You can check the full list of cosponsors by clicking here. If your Senators and/or Representative are not on the list please ask them to become a cosponsor. If they are on the list, please reach out and say thank you. National Public Lands Day falls on September 22nd this year, but we all know one day is never enough to fight the good fight. Therefore, SUWA has scheduled 10 projects over the next 10 weeks across Utah—and we are looking for several volunteers to join a crew for a weekend of service work, conversation, and good eating! Commit to spending a weekend with SUWA in the canyons, mountains, plateaus and deserts of your public lands to ensure our presence on the ground this fall. 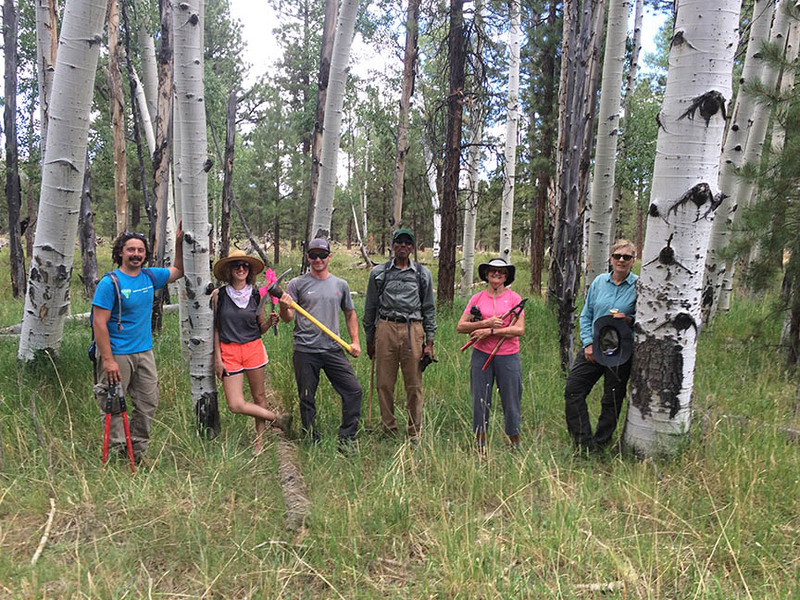 Our Complete Project Listing (click through) provides additional details on all of our upcoming trips, beginning with our National Public Lands Day service projects in the Deep Creek Mountains and the Dolores Triangle in late September and continuing through every weekend in October and into early November. Whether you are planning your fall vacation in Utah, seeking a new classroom for your students, or simply looking to give back while experiencing someplace new over the weekend, apply now to become a SUWA Field Volunteer and join one of our crews this fall! 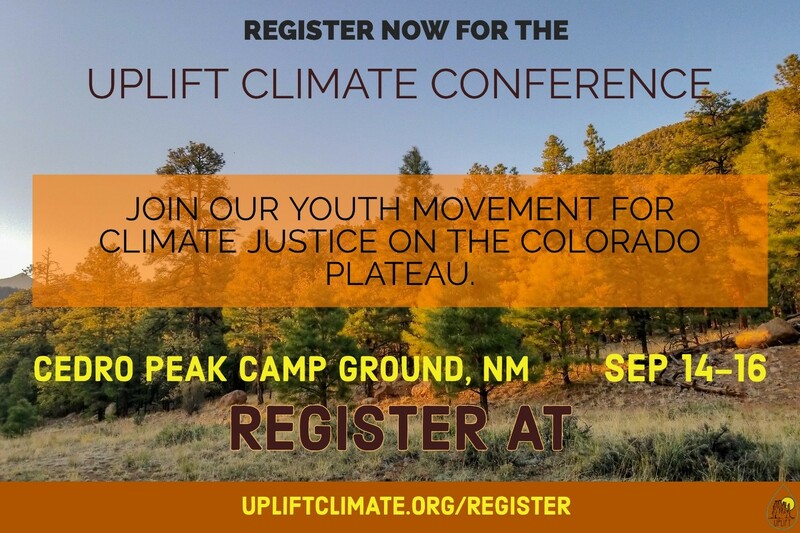 SUWA is participating in the 2018 Uplift Climate Conference this year to take part in youth conversations and workshops centered in healing, resistance, and protecting. Olivia Juarez of SUWA’s grassroots organizing team has been part of the Uplift Organizer cohort this year and will be leading a writing workshop on invoking personal narrative in the movement for climate justice as well as facilitating a discussion on migration justice and integrating the framework of climate justice into public lands activism. Young people with new or old roots in the southwest are invited to attend Uplift! This outdoor conference takes place at the Cedro Peak Campground outside of Albuquerque, NM on September 14-16. Registration is $25 and includes meals and your campsite. Scholarships are available for those in need of financial assistance or camping gear loans. Find more details at upliftclimate.org/register. We hope to see you there!